With the removal of the traditional headphone input from the iPhone 7, wireless earbuds are becoming even more popular. 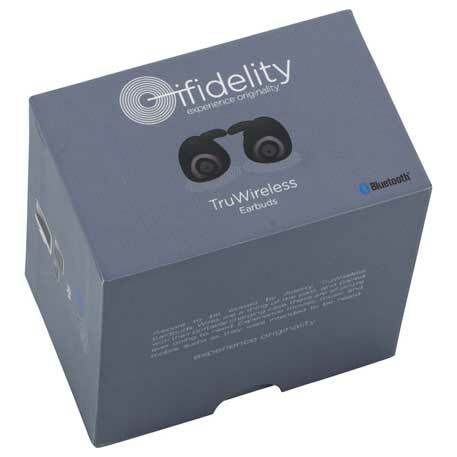 The ifidelity TruWireless Bluetooth Earbuds provide a truly wireless experience, as well as a great vehicle for your logo or marketing message. The ifidelity TruWireless Bluetooth Earbuds are the future of Bluetooth earbuds. As you see, there is no wire connecting the earbuds. Making them true wireless earbuds. The carrying case also doubles as a charging station, so storage it made simple.Once the case is charged it can be used as a portable charger for your earbuds. With over 4 hours of talk time these earbuds are a must for any traveler. Bluetooth working range is 10 meters (33 feet). 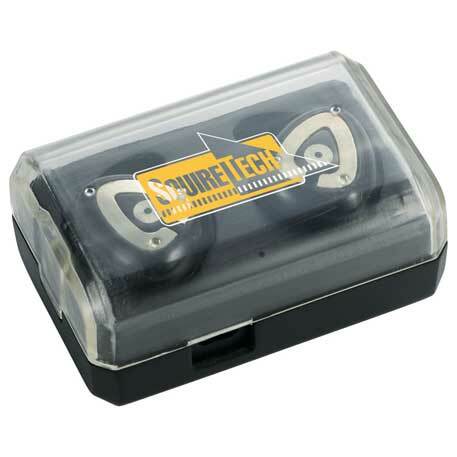 The imprint area is on the carrying case/charging station with a size of 0.87″ H x 1.75″ W, and the imprint area can take a maximum of two spot colors. Retail packaging is standard with these items, providing even greater perceived value to the client that receives them. The ifidelity TruWireless Bluetooth Earbuds are small enough to look like cuff-links, but pack a powerful sound. As well as double as a phone headset. Please contact us at info@proformagreen.com if you would like more information on – or samples of – ifidelity TruWireless Bluetooth Earbuds. This entry was posted in bluetooth, headphone, Technology. Bookmark the permalink.